Martin Ssebunya from A Few Good Men is putting together a mixtape titled "A Few Good Friends." 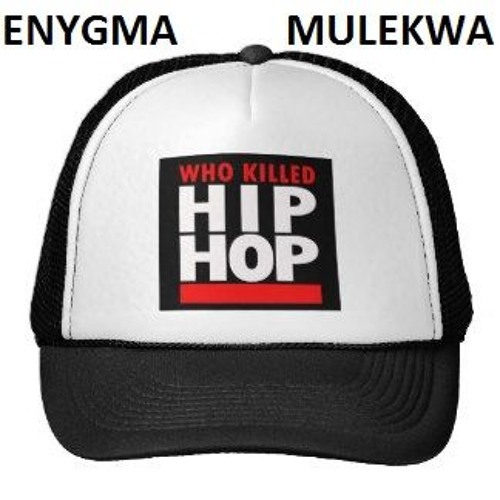 He asked Enygma and Mulekwa to discuss who they think killed hip-hop from their respective points of view. Is it even really dead anyway...? Produced by Koz-N-Effekt & Nase Avatar at Port Bell Drive Studio. ~ ~ ~ Lyrics CHORUS: Who killed hip-hop? YOU killed hip-hop I killed hip-hop. We all killed hip-hop. Who killed hip-hop? YOU killed hip-hop I killed hip-hop. We all killed it. x2 (Enygma verse) They say Hip-hop in Uganda, is struggling to survive/ After deading the competition, now we're barely alive?/ What's the reason for demise? We really in a hearse?/ They're blaming Gravity, for bringing us down to earth/ Suppose that we pause, see what caused this effect/ The media's showing the whole industry disrespect/ Calling rappers wannabes, they don't play us on their stations/ I guess it's only cool if you wannabe Jamaican!/ How about the fans? They say that they support us/ Instead of buying singles they just turn on their recorders/ Downloading for free, but don't come to watch performers/ On social media they're either critics or reporters/ ...Uh...Don't let me start on the producers/ Stealing beats and reselling makes everybody losers/ Disregarding rappers if their bread is short like biscuits/ Finishing tracks late, they haven't even mixed it/ Yet the artists are a part of this and rightly so/ Some should never been allowed beside a microphone/ They don't study, they can barely even write a poem/ Laziness, biting styles, and they fight and moan/ About languages, destroying what we have built/ A rapper wore a skirt, then hip-hop got kilt/ Hip-hop is aliive, to kill it is impossible/ But if I'm wrong, everybody is responsible. @user-958583922: Thank you my brother!